Its a very comfortable decision. 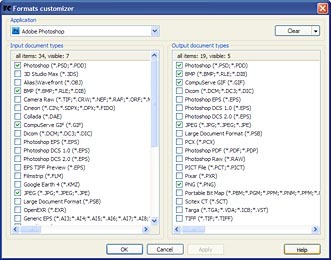 I use Photoshop and MS Office and this utility saves time and money. 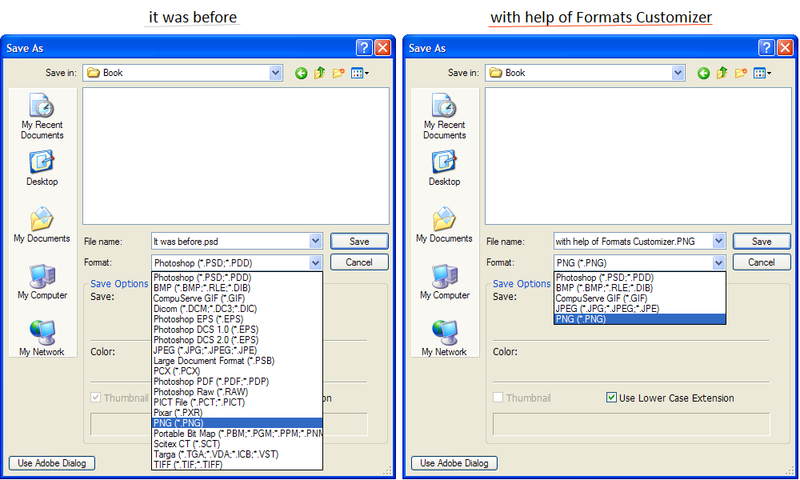 I asked on forums how to decrease the list of files types, when I save with CorelDRAW PHOTO-PAINT. Those methods just did not fit my needs though. When I saw Formats Customizer I knew I had found my answer. It was a huge help for me as a professional. Cut my work time significantly and still lets me access the hidden file types quickly. 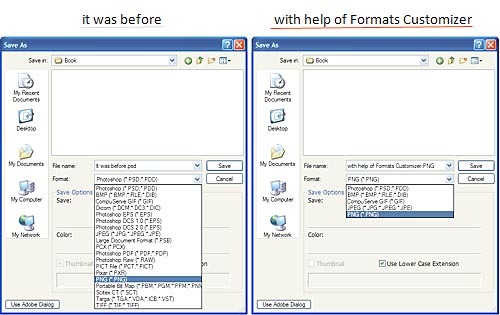 Formats Customizer is a unique way to remove document types that are not used from application file dialogs for the commands: "Open", "Save", "Import", "Export"
How many times per a day do you use an operation to save or open a document and commands to import or export data? Each time you waste time on a large array of choices of unnecessary document types. To find and choose the necessary format is not quick and simple anymore. 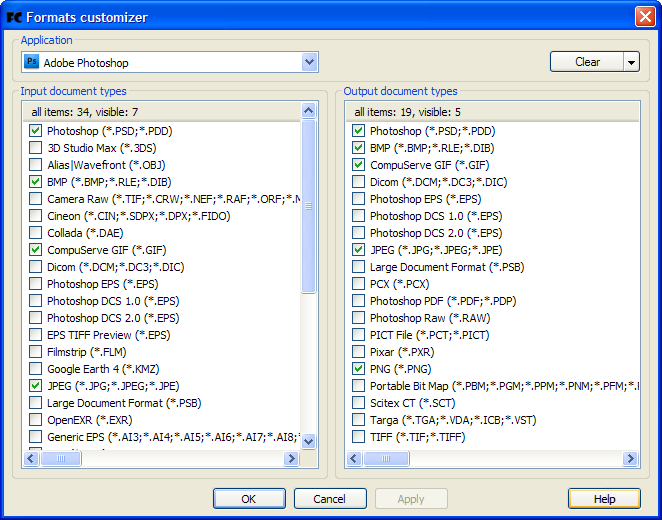 But using Formats Customizer, you can hide all unnecessary types and speed up your workflow significantly. What are the methods to use? 1. Install applications selectively, choosing the necessary types. However, not all products support this feature. Plus, you could have possibly absent formats that you will need later. Not a good long-term solution. 2. Delete a few files, though the application could create errors or stop working. Not recommended at all. 3. Use the old versions of products since they can support fewer document types. Just be aware that you are missing out on many of the new and improved product features as well. Which also makes this a bad solution to your problem. 4. 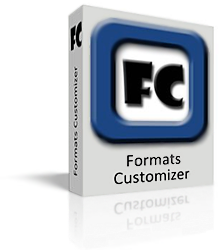 Use the Formats Customizer and make it easy. 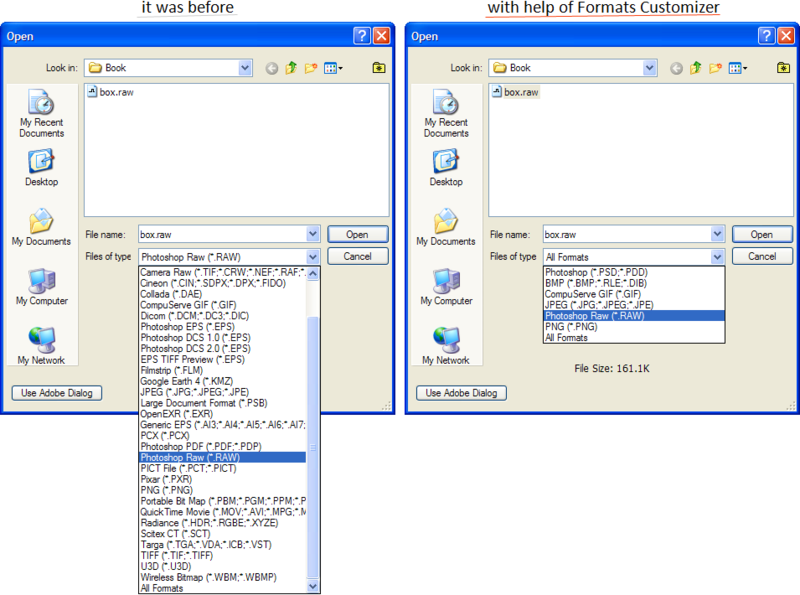 Simply specify what types of files and documents to clean or remove from the list in save or open dialog. It is an excellent method that scales with your needs. 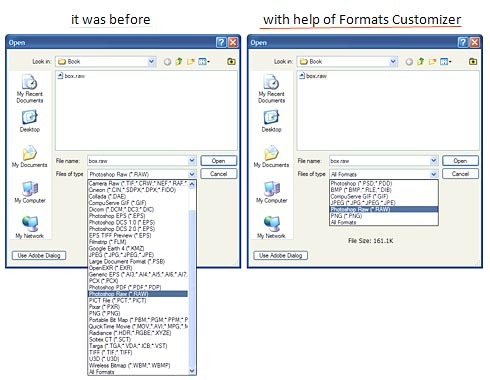 These screenshots show exactly what Formats Customizer does. Remove document types that are useless for your needs leaving you with a cleaner, more streamlined selection choice. Now you choose only those file types, which you actually use. Copyright 2007-2019 Falco Software Company. All rights reserved.